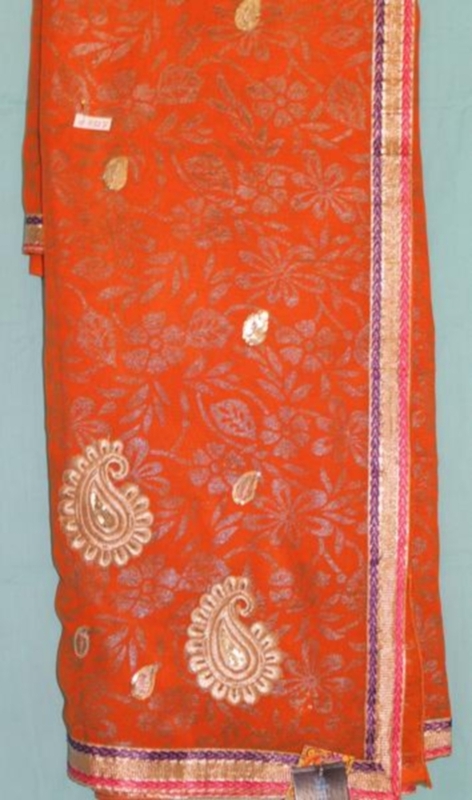 The saree is for adult women and is Pre-Stitched, pre-pleated. 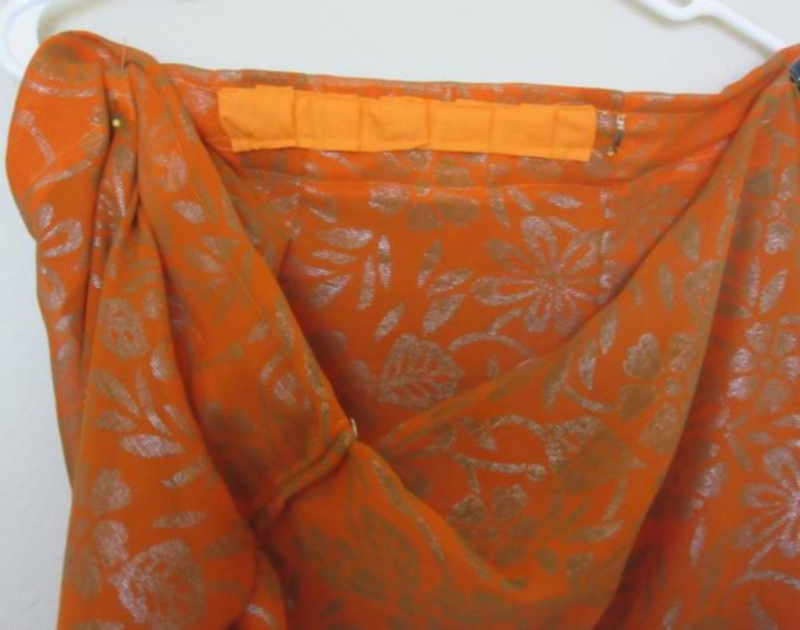 Wear it like a skirt and the saree is ready. 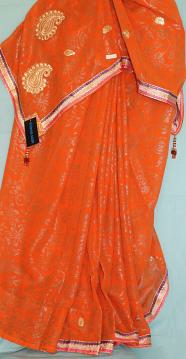 Saree Waist is adjustable from 38" to 46" with hook and loops. 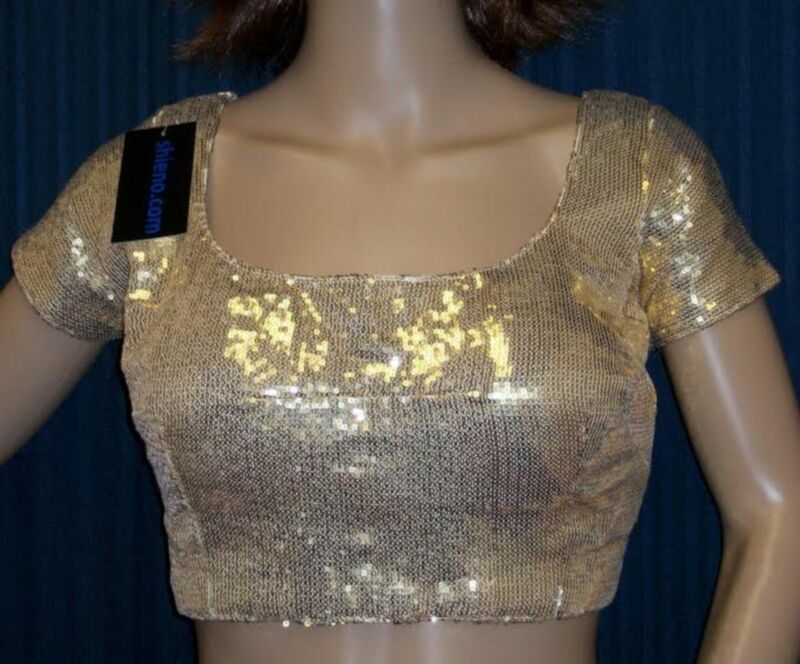 This saree comes with a Petticoat and a Golden Sequins Top Blouse. Mild hand wash separately in cold water. Dry in shade. Made from Poly Yarn. 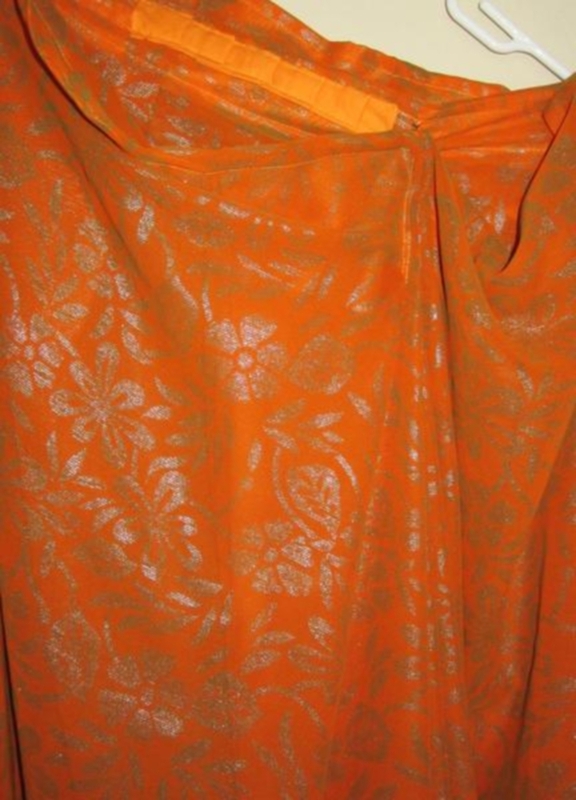 Actual color may vary from the pictures slightly due to digital images.. This item in Indian Sarees category was first added to our catalog on 06-24-2016.